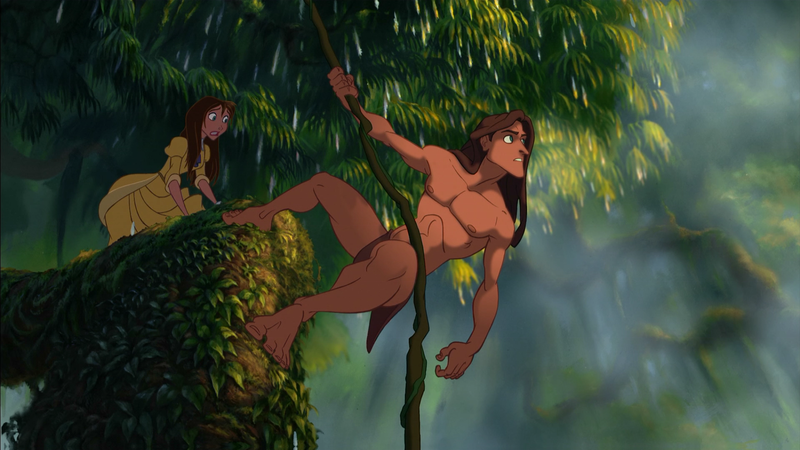 Tarzan seems to be the ignored stepchild amongst Disney’s animated titles (talking 80s and 90s), taking a backseat to Beauty and the Beast, The Lion King, Aladdin or The Little Mermaid but it’s a fun and finely animated flick with some good voice casting and incredible sequences, especially the first-person view shots. The Blu-ray released by Buena Vista offers up amazing audio/video transfers and the features, albeit nothing new, is decent enough. Disney’s adaptation of Edgar Rice Burroughs’ story begins deep within the jungle when baby Tarzan is adopted by a family of gorillas. But his “Two Worlds” collide with the arrival of humans, forcing Tarzan (voiced by TONY GOLDWYN) to choose between a “civilized” life with the beautiful Jane (MINNIE DRIVER) and the life he shares with his fun-loving friends (including ROSIE O’DONNELL) and his gorilla family (mother voiced by GLENN CLOSE). This animated movie, released in 1999, while not exactly classic Disney in the same vein as Beauty and the Beast or The Lion King, is still a strong outing with some touching moments, even dark ones, and the voice casting from Tony Goldwyn to Minnie Driver and finally Glenn Close are all impeccable and inspiring choices, especially the scenes between Tarzan and his gorilla mother. 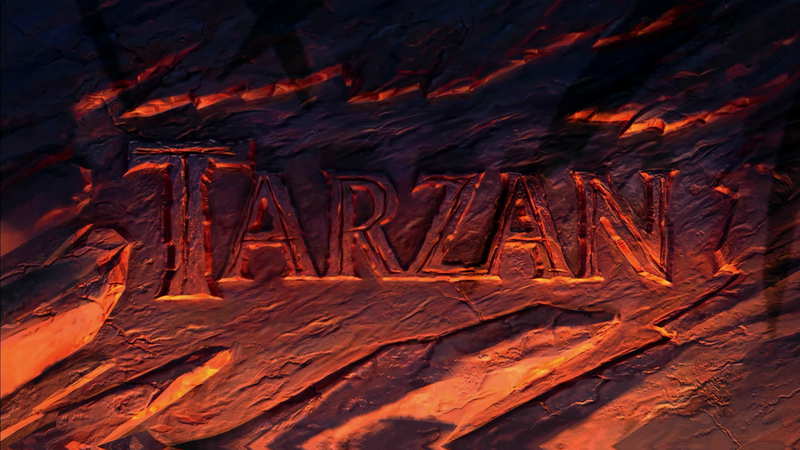 The animation itself is also quite impressive including a few POV shots as Tarzan zips through the jungles attempting to escape predators or saving Jane. Another highlight are the plethora of songs written and performed by Phil Collins, the most memorable being “You’ll Be in My Heart” which Collins took home the movie’s one and only Academy Award nomination (he also received a Golden Globe as well). This release comes with an embossed slip cover. Inside the case contains a DVD Copy and a redemption code for the Digital Copy. Audio Commentary – Directors Chris Buck and Kevin Lima & Producer Bonnie Arnold sit down for a light-hearted track providing some behind-the-scenes info on the animation process as well as the story. Deleted Scenes (9:56) contains three scenes, including an alternate opening, that were removed and never fully animated. Under Backstage Disney are: History and Development (7:37) chronicling how the project came to be; The Characters of Tarzan (TRT 23:07) outlining the assembled voice cast and animation style; Animation Production (TRT 9:54) looks at how some of the scenery was created and even shows the animation progression; Story and Editorial (TRT 6:36) examines the storyboards. Also included are three Theatrical Trailers. 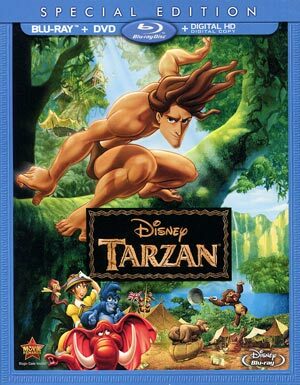 Swinging onto Blu-ray in this “Special Edition” form, Tarzan looks impeccable on Blu-ray showcasing, in 1080p high-definition, strong and vibrant colors, no immediate or obvious signs of over sharpening, a criticism on some of Disney’s animated releases, and good contrast never appearing to be pumped up. There are some bouts of aliasing so not the perfect transfer, but on the whole not a bad transfer. Also coming through quite well is the 5.1 DTS-HD Master Audio track where every element from the dialogue to ambient noises show nice depth; but where the lossless track comes to life is with Phil Collins’ songs, evenly blaring through each channel. It’s an excellent HD track and well worth the upgrade. 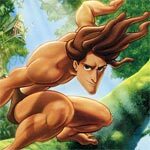 Overall, Tarzan seems to be the ignored stepchild amongst Disney’s animated titles (talking 80s and 90s), taking a backseat to Beauty and the Beast, The Lion King, Aladdin or The Little Mermaid but it’s a fun and finely animated flick with some good voice casting and incredible sequences, especially the first-person view shots. The Blu-ray released by Buena Vista offers up amazing audio/video transfers and the features, albeit nothing new, is decent enough. So, when can we see a picture of your moviecollection and\or system? 😉 really appreciated. Thanks! If I ever get caught up and able to organize. My collection is unruly right now. Such a huge task just trying to get things in order.